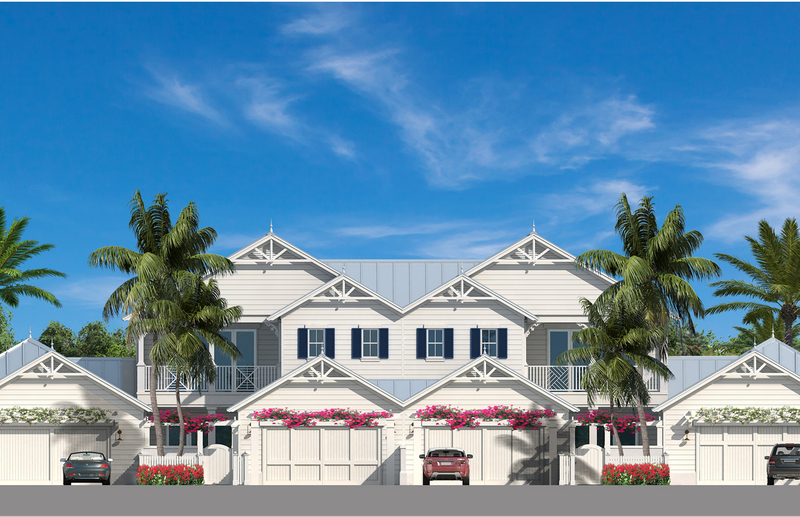 The Beach Cottages at The Strand, a Key West inspired enclave of 21 townhomes in The Strand, Vero’s newest community located at 8100 N. Hwy A1A. Reservations now being accepted with a $10,000 refundable deposit! The site consists of 5.2 +/- acres & contains a stately Live Oak canopy & natural privacy berm comprised of Spanish Stoppers, Coconut & Sabal Palms. One story end units will be 2,328 +/- SF under air (2,872 +/- total under roof). Two story residences will be 3,078 +/- SF under air (4,121 +/- total under roof) with a covered lanai and balcony; all units will feature terraces, courtyards and private 2-car garages. Homes will have three bedrooms and three and one-half baths; one story homes will include a detached third bedroom suite. Luxurious build standards include 24”x24” mud set shell stone or 9” wide wood floors, exquisite millwork and ceiling recesses, designer fixtures and quartz or granite island kitchens with all-wood shaker cabinetry and new Samsung’s Pro-Chef appliance package with 3-year warranty, only available to The Cottages! Private pools, courtyard fireplaces, wood or shell stone floors and designer furniture packages will be optional upgrades. 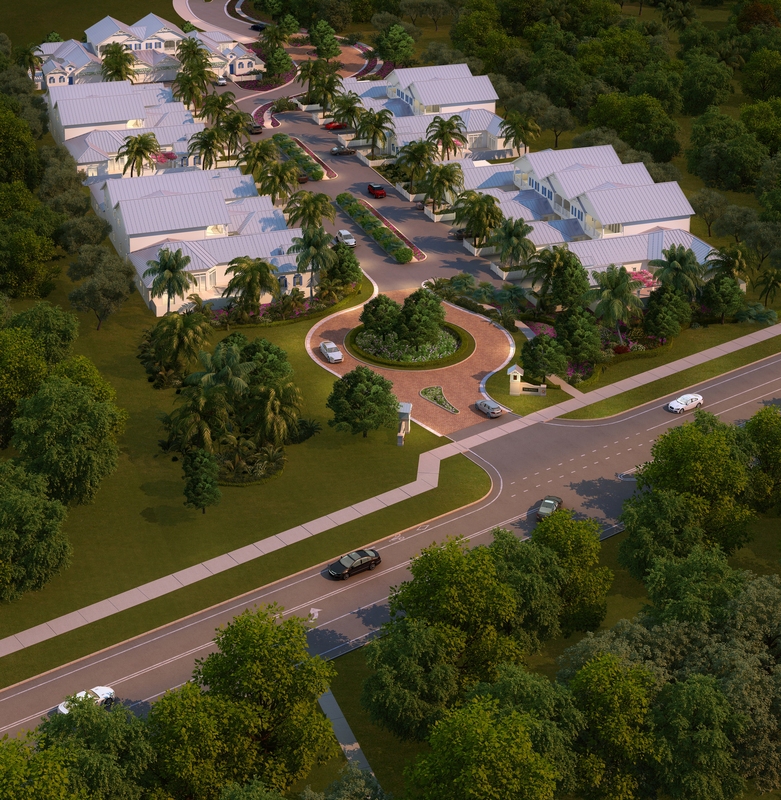 With handsome aluminum roofs, residences will be built on concrete slabs using concrete block construction and impact resistant windows and doors for lock & leave peace of mind. Community also offers private beach access.